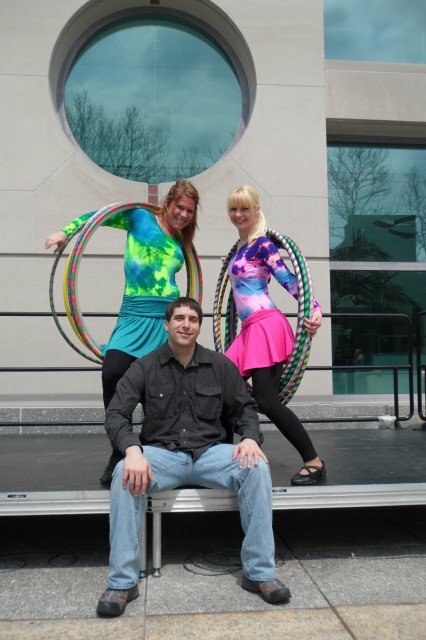 Our friend Matt from Funtown emailed us these great pictures form the Philadelphia International Children's Festival. 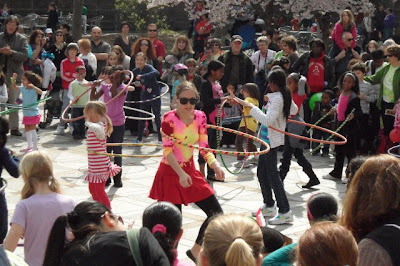 The 27th annual Philadelphia International Children’s Festival was held Thursday, April 7 – Saturday, April 9 at Annenberg Center for the Performing Arts. The festival included family-friendly music, theater, and dance performances! Funtown is a marketing and talent agency that focuses on nightlife entertainment. 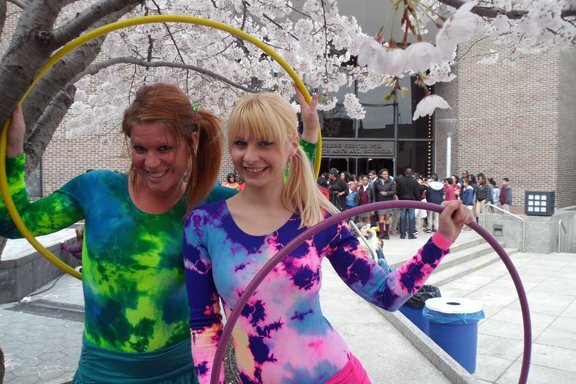 they have an exciting cast of artists on its roster that includes hoop dancers, fire performers, live painters, fan dancers, and other hard-to-find artists. Matt chose three different We Love Colors Splash Color Long Sleeve Scoop Neck Leotards for Funtown's hoopdancers at the festival. 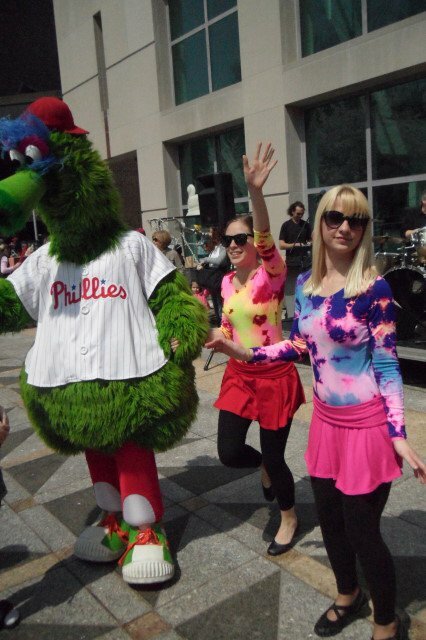 Check out Jen and Rachelle performing with the Phillie Phanatic! Matt told We Love Colors that the splash leotards were a big hit and "I had no trouble finding my performers in the middle of hundreds of children and family members." Check out more photos of the festival on Funtown's Facebook Page! The leotards glow in ultraviolet light too. Very cool!! Here's a video of our performance with the Phillie Phanatic. He truly deserves the title of world's best mascot! Go Phillies! Cool Beans Band, Phillie Phanatic and Funtown!